Commercial roller shutters are typically fitted with either electric motors or manual reduction gear hand chain systems. These are usually operated via a single phase tubular motor and switching systems or by internally operated haul chain manual systems. 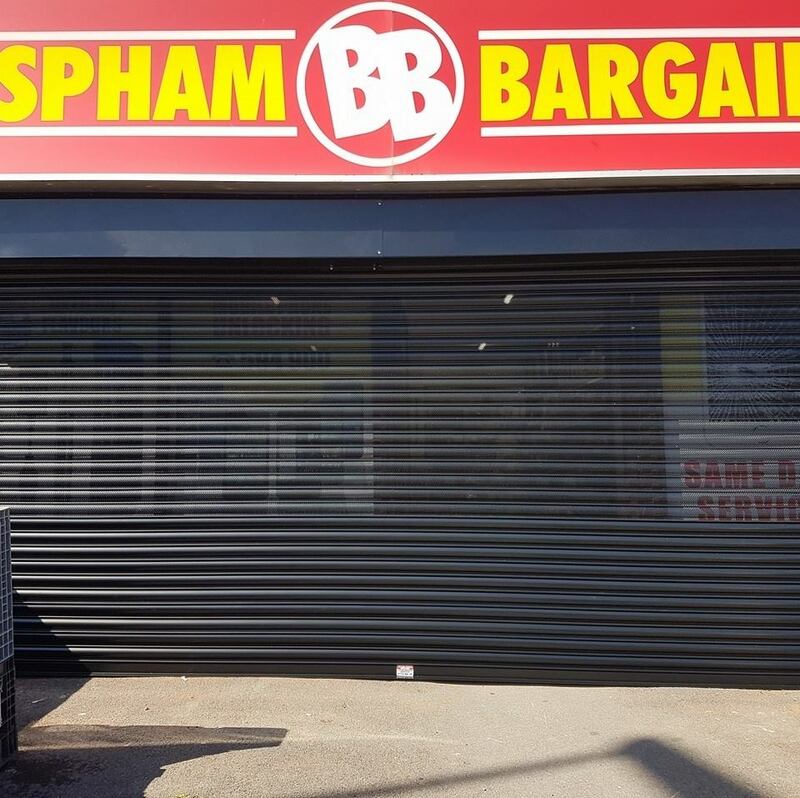 With this kind of roller shutter system, it may be galvanised or coloured and if required also fitted with a see-through section to allow vision into shop windows at night. Typically fitted to shop fronts or commercial applications where very large vehicle access or continuous operation is not required. Get in touch with us today if you’d like to know more about our commercial roller shutters. These types of shutters are manually operated self-coiling roller shutters that are fitted with a counterbalance spring system to aid operation. This type of shutters also can be galvanised or coloured finish and fitted with see-through sections if required. Also, they may be fitted with manual locking systems and suited to small doorways/windows or to small single garage doors. These are a simple cost-effective solution to securing smaller openings or shop windows/doors. Locking is via 2 welded channel pin locks per shutter or a centre lock if operation from both sides of the shutter is required. Atlas Doors Northwest are a roller door company based in Blackpool that provides emergency repair to commercial buildings throughout the Northwest.